BIG FIVE: hand signs in Neuroticism vs. Emotional Stability! A hand chart for recognizing emotional stability (low scorers) & neuroticism (high scorers) has become available. Re: BIG FIVE: hand signs in Neuroticism vs. Emotional Stability! From palmistry perspective the broken head line on right bottom image and the shirt heart line on left bottom image make sense for troubled personalities (at least the time they are on hands). I have no query or any point for discussion because I am very well aware that "Neurosis" is curable and the major lines cleared. Neurosis is at least detectable in the hand but "Character disorder" is the most difficult defect to find out through the hands unless the person is highly affected by it. A hand chart for recognizing emotional stability (low scorers) & neuroticism (high scorers) has become available; many more details will be shared in a brand new article soon! 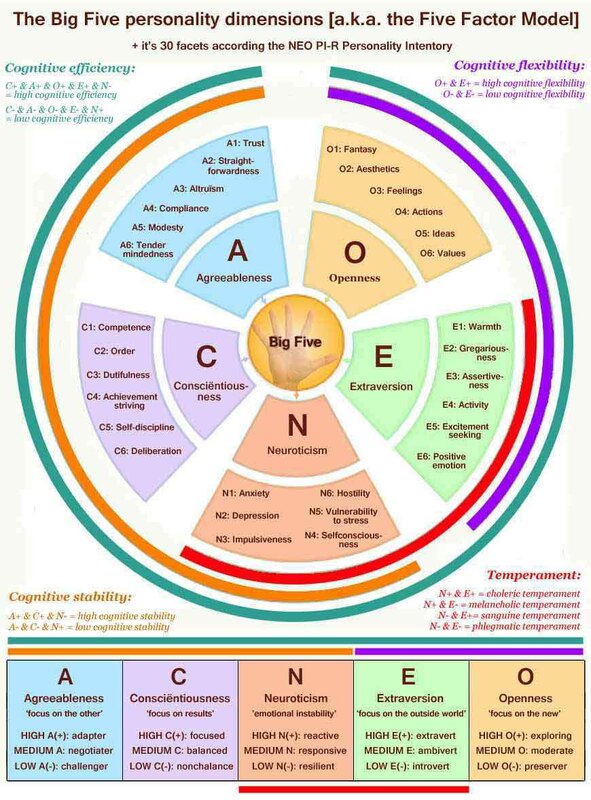 The Big Five dimension Neuroticism relates to 'normal' behavior (behavior that can potentially seen in any person), while neurosis relates to 'pathological' behavior (which involves psychiatric disorders). I hope this makes sense now? "Neurosis should not be mistaken for psychosis, which refers to a loss of touch with reality. Neither should it be mistaken for neuroticism, which is a fundamental personality trait according to psychological theory." Thank you Martijn for your clarification.... I did confuse between the two. I meant "Neuroticism" which is quite common and not "Neurosis" which is again a kind of disorder. I found some explanation at the end of the BIG FIVE Personality trait from Wikipedia as to why I got confused. Neuroticism is similar but not identical to being neurotic in the Freudian sense (i.e. neurosis.) Some psychologists prefer to call neuroticism by the term emotional stability to differentiate it from the term neurotic in a career test. And moreover, most of the contemporary Psychologists discuss more about Neurosis, which is actually similar to Neuroticism. rajashri wrote: I found some explanation at the end of the BIG FIVE Personality trait from Wikipedia as to why I got confused. No problem rajashri, apparently you overlooked the words 'not identical'. Anyway, I hope you will continue to feel free to speak out your thoughts! Psychological terms and the subject itself fascinates me. Because, this is the language which can translate , express, explain and validate one's own internal (the conscious,subconscious and the unconscious state of mind) and external ( related to people and the outside world) experiences. This understanding of the own self gives immense satisfaction which in turn helps in optimizing one's own thoughts and actions for a positive benefit of the Self and the connected World. Contemplatives and serious Truth-seekers are able to cognize and discern the state of their own minds and others minds clearly, but not all have the inclination to translate it into psychological and scientific terms. ....Well, I am still learning and its even more interesting when you combine it with the study of Palmistry, because the spine of Palmistry is the study of the Mind. All the existing lines on the Palms and the hand itself is not accidental or the result of random luck but the result of Cause and Effect, which is our own doing. When we understand the bigger-picture and our role in it and which particular action could give us favorable results, it is possible to become the Authors of our own lives and not live by the dictates of the notion of an imposed upon Fate or Destiny. Hand Signs in Emotional Stability & Neuroticism! The new article is now officially launched, e.g featured with the very first data pool that has been presented in the history of scientific hand reading! 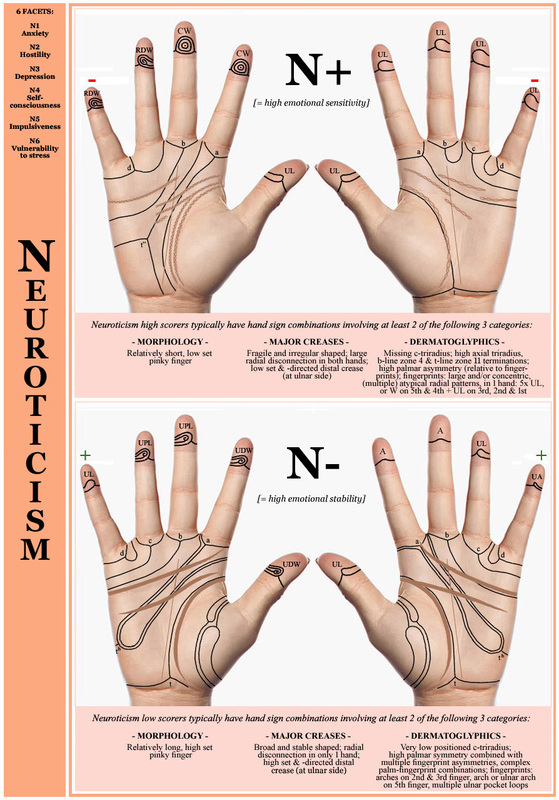 The Hand in Neuroticism: crossing constellations in transverse creases & dermatoglyphic main lines! - Hand level 5: (very) short pinky finger. - Hand level 8: combinations involving the following dermatoglyphic features bare potential to become significant: (large concentric) whorls, missing of a c-triradius and/or total amount of interdigital triradii of just 3. 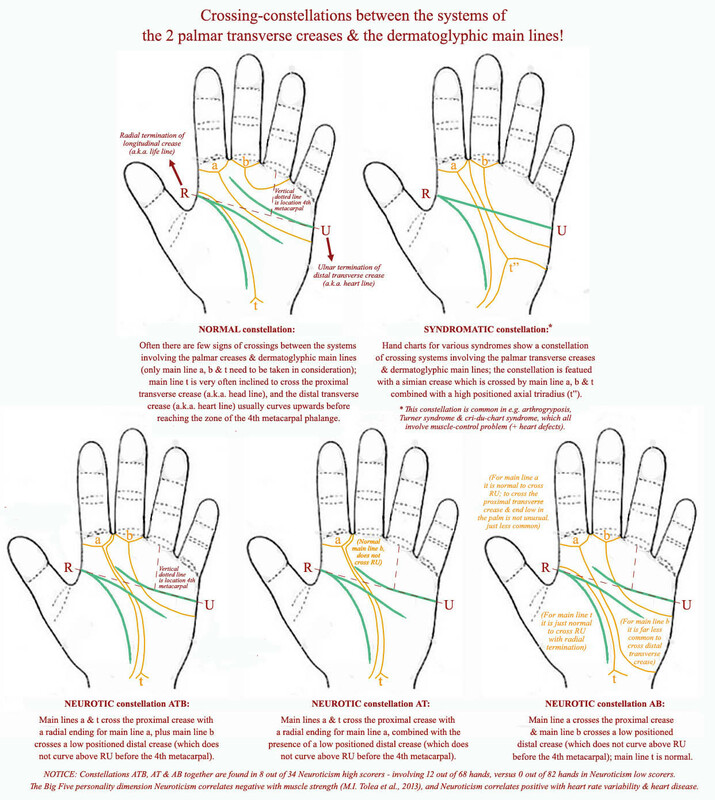 - Hand level 9: combinations involving the following crease features bare potential to become significant: extra interphalangeal creases, simian crease, reduced proximal crease & distal crease combined. - Hand level 5: (very) long pinky finger. 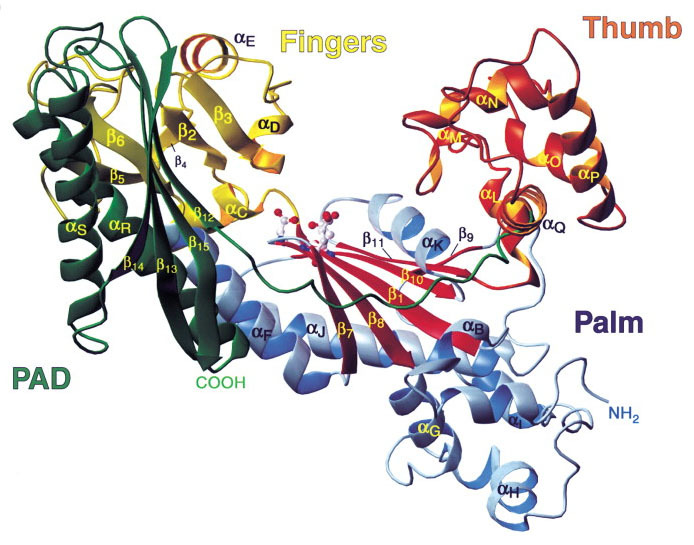 - Hand level 8: combinations involving the following dermatoglyphic features bare potential to become significant: arch fingerprints, A-line does not end in region 1, total amount of interdigital triradii is at least 4, c-triradius is not missing. - Hand level 9: combinations involving the following crease features bare potential to become significant: long proximal crease & distal crease combined." 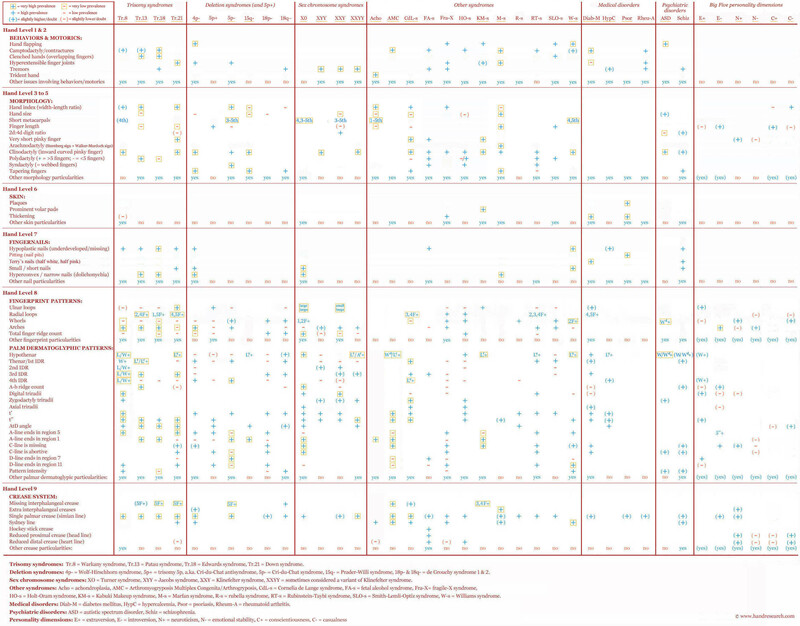 Decoding the language of the hand: how to find 36 conditions with just 54 major hand signs! !